Every spring homeowners dread their lengthy to-do list. A lot of things must be one in order to get their home up to snuff and keep it in working order. Having air conditioning maintenance done annually is one of those things on the to-do list that should not be skipped. For a very affordable price, an air conditioning maintenance technician can come out to your home and make sure your air conditioning system is ready for summer. Here are three reasons you shouldn’t skip the annual tune-up on your air conditioning unit this spring. Having an air conditioning maintenance technician do an annual tune-up on your air conditioning unit can have some big benefits including improving your overall home energy efficiency. As the unit gets dirty and used, it doesn’t work as effectively and efficiently as it used to. A technician will clean the cooling coils, check all the connections, check the coolant, and change the filter to make sure your unit is working effortlessly while still getting you the maximum cooling ability. When a newer unit is installed it will come with a warranty. All warranties are different however, and you might be surprised to learn that to maintain the warranty you have to have your unit serviced regularly. Your specific warranty will explain how often you need to have a technician go over your air conditioning unit but we’re betting it’s at least once a year. By doing this you’re taking care of your air conditioning unit and keeping your warranty (and investment) in tact. By maintaining your system you’re checking for the little problems. A tune-up is affordable and the technician will look for little problems that could easily become bigger problems. The big problems are what become expensive. 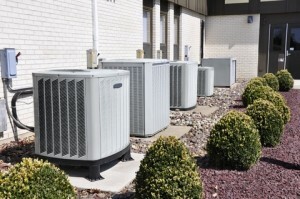 By having your tune-up you’re saving money by protecting you air conditioning unit’s health. Contact All Air Heating and Cooling Services today to schedule your annual air conditioning tune-up in the Fredericksburg, VA area.